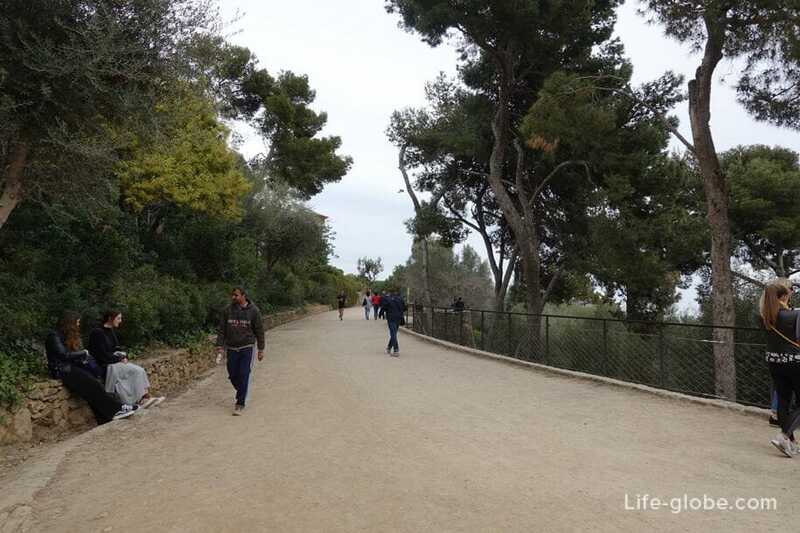 Park Guell (Park Güell / Parc Güell) is one of the most famous and visited parks of Barcelona in the Tops of the sights of the Catalan capital. 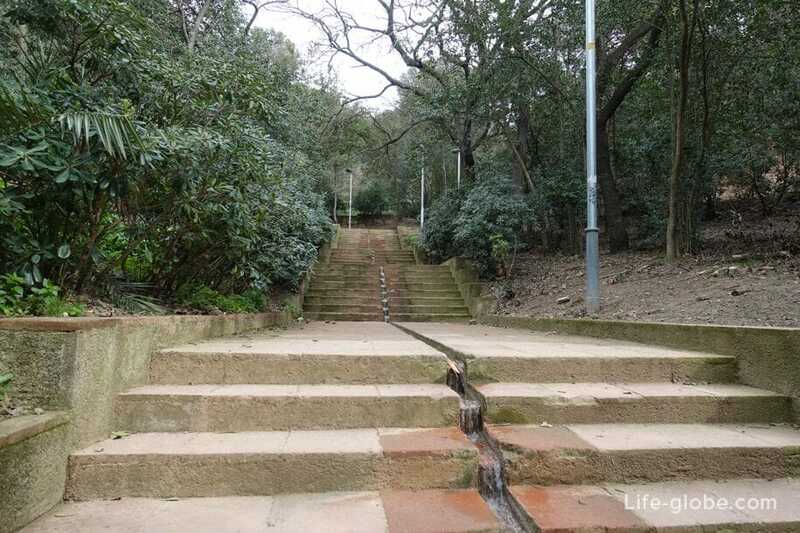 The Park was built between 1900 and 1914 and was officially opened as a public Park in 1926, and in 1984 UNESCO declared the Park a world heritage site and took custody. 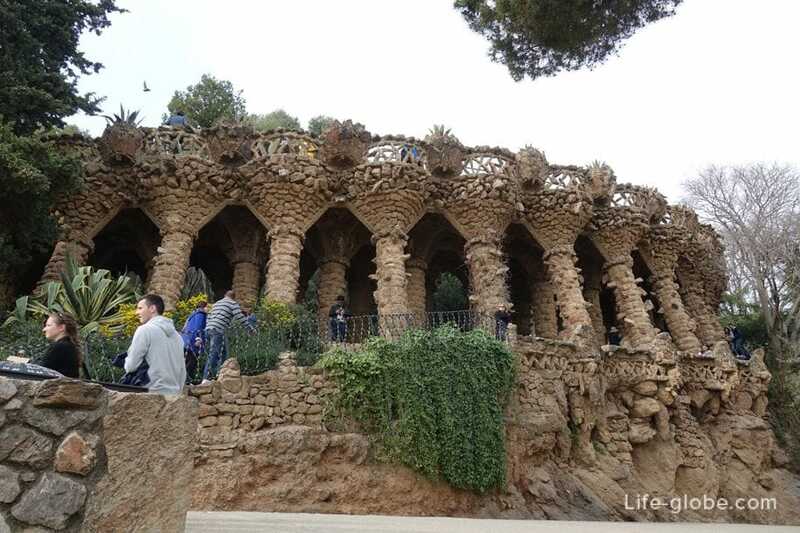 As opened the Park Güell in Barcelona? 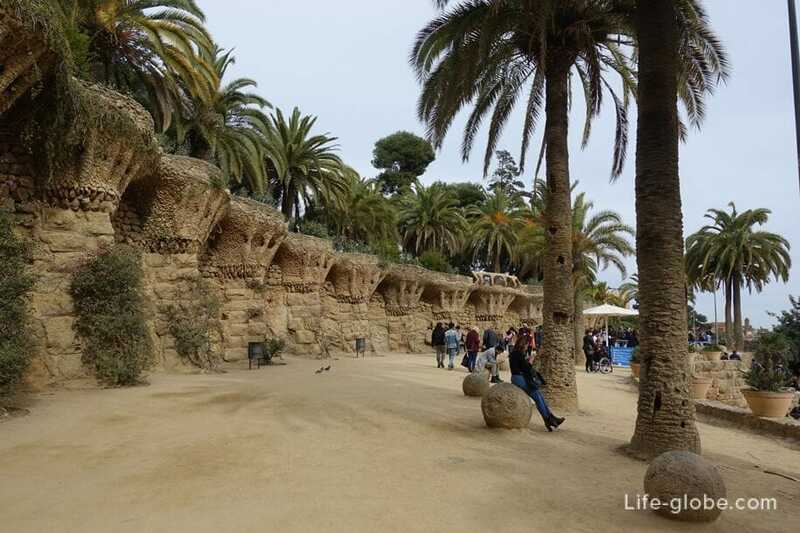 Originally the Park was the idea of count Eusebi güell and was supposed to be a green residential area with fashionable in those days architecture called "the garden City". 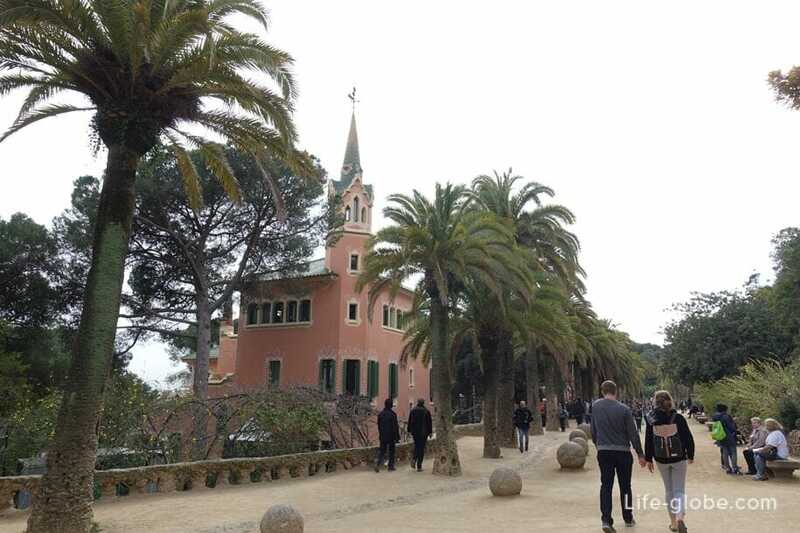 For its project in 1901 Guell bought a plot of land of 15 hectares, which, in turn, were cut into 62 separate sites, intended for construction of private houses. 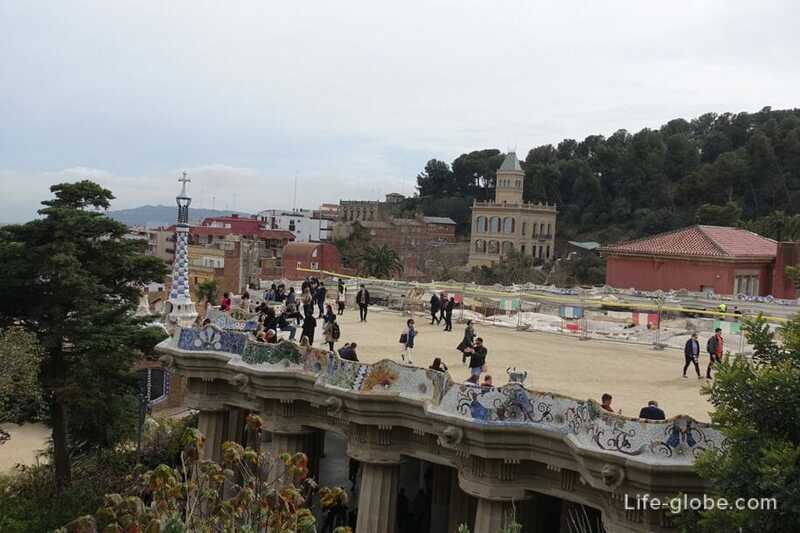 One of the stages of work on the landscaping was attracted by Gaudí, then, for leisure and entertainment the future of local residents, was built, famous to this day, architectural objects of the Park. 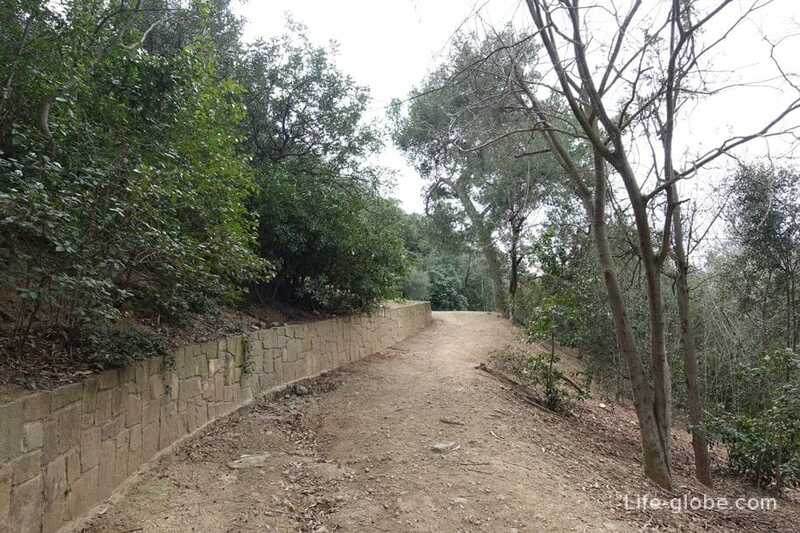 All plots were offered for sale, but the venture failed, and it managed to sell only two of the sites, because quite a wilderness, remote from the centre of town, attracted the inhabitants of Barcelona. 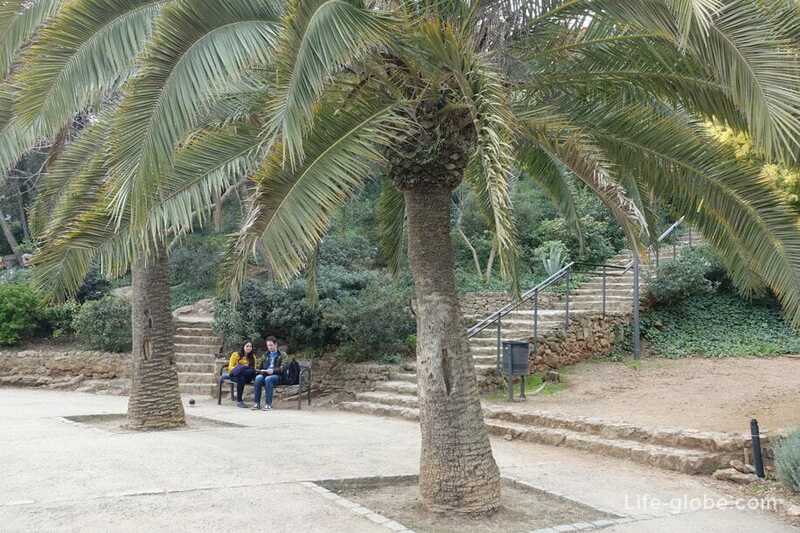 This failure forced the heirs to sell the güell Park of Barcelona city hall, which turned it into a municipal Park. 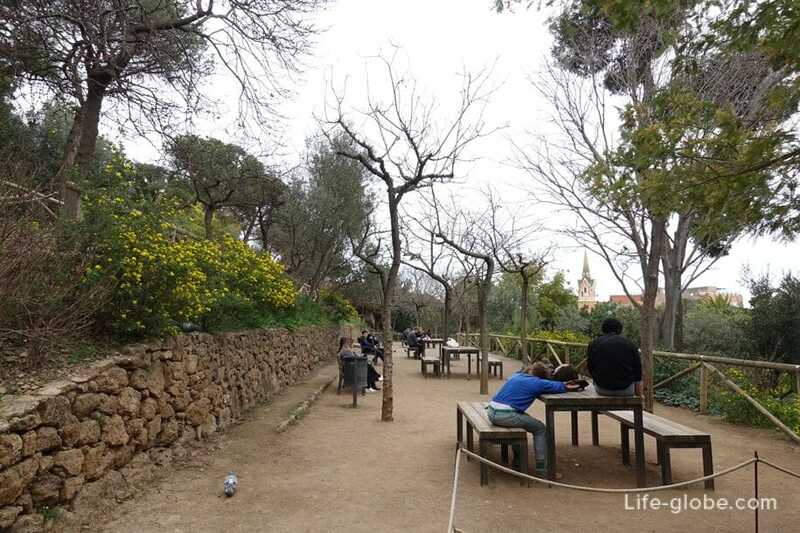 Currently, the Park Guell is a Park area that stretches by 17.18 ha. 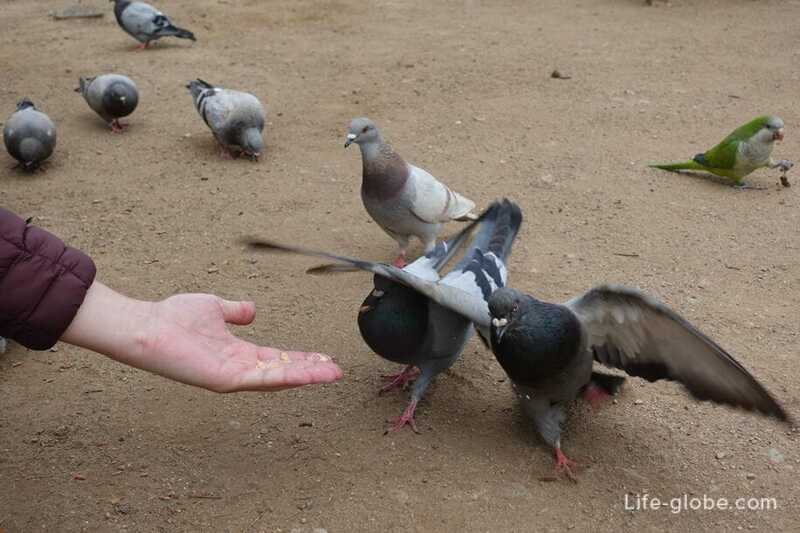 - and, free - the rest of the Park. 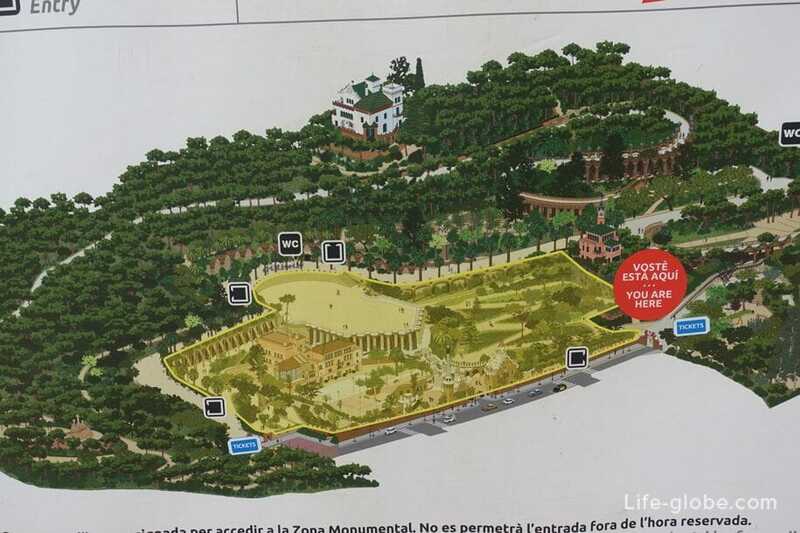 In the photo below, the yellow highlighted part of the Park, it here tends to get the bulk of the tourists. Selena - free, which is free to access. 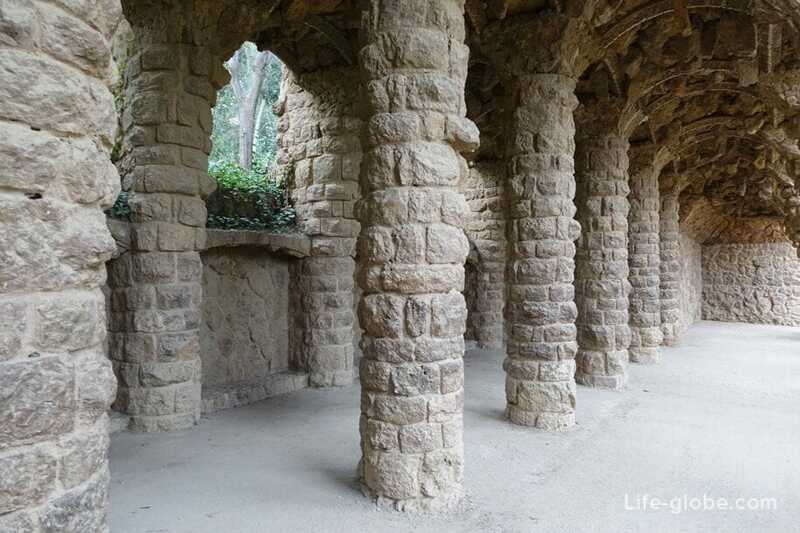 In the paid part of the Park are the most famous work of Gaudí. 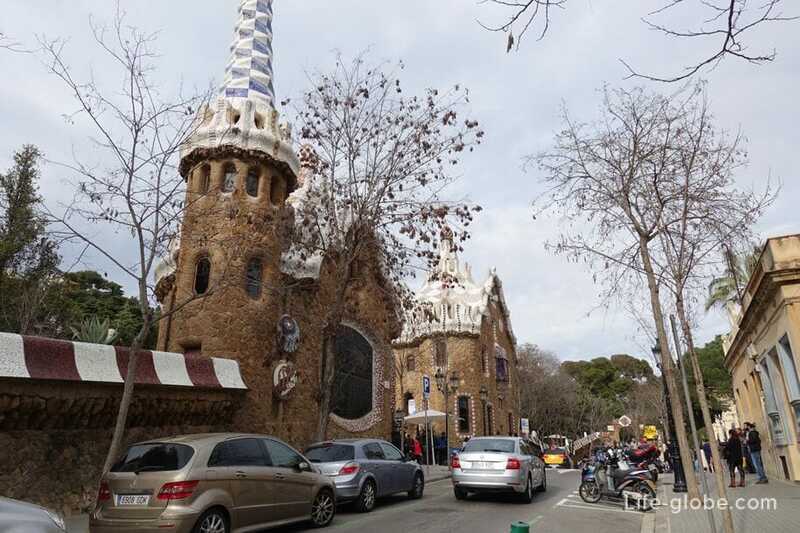 The main entrance to the Park facing the street of Olot (Carrer d'olot), decorated with two unusual shaped buildings - pavilions, look like gingerbread houses. 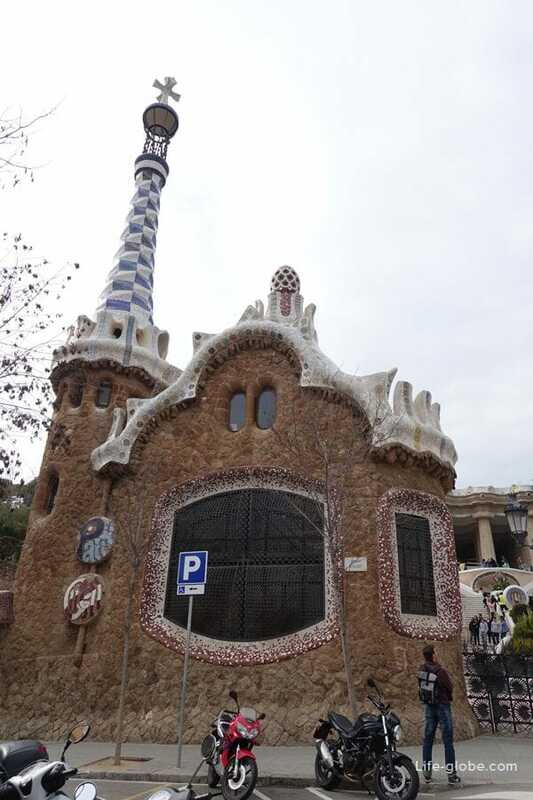 Left pavilion with a pinnacle crowned with a typical Gaudí five-way cross, was designed by the office of the Park administration. The left pavilion was built for the gatekeeper. From the pavilion in both sides depart the surround walls with numerous denticles. 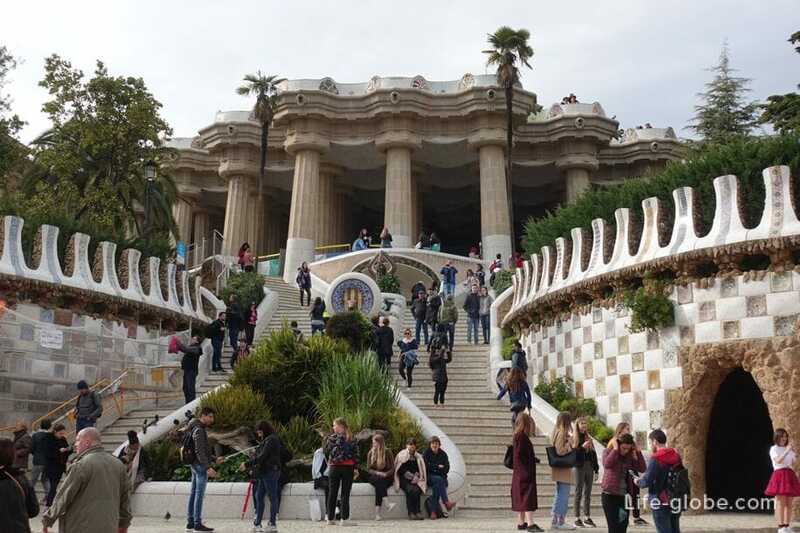 Over the main entrance is a small area from which originates the famous Grand staircase of the Park Güell, leading to the hypostyle hall, also known as the "Hall of hundred columns", which in reality is only 86 columns. 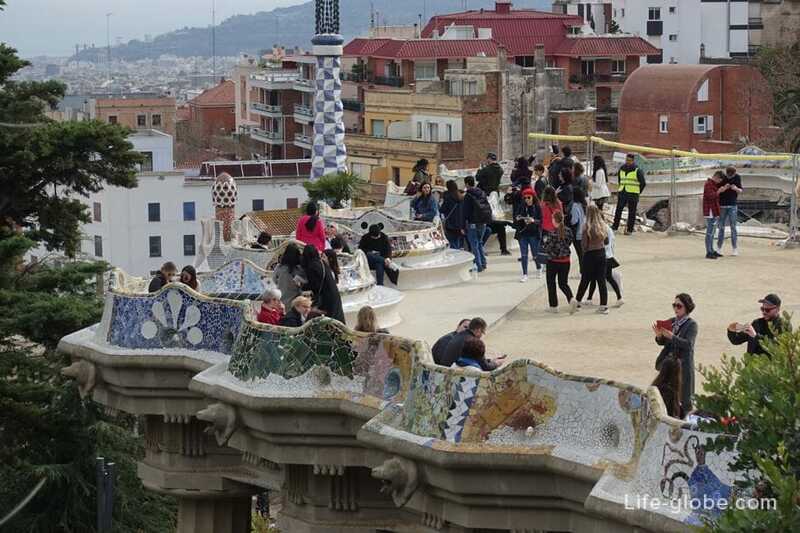 At the bottom of the stairs is placed a mosaic Salamander, the average area is decorated with medallion with a four-lane highway the Catalan flag and the head of the snake. 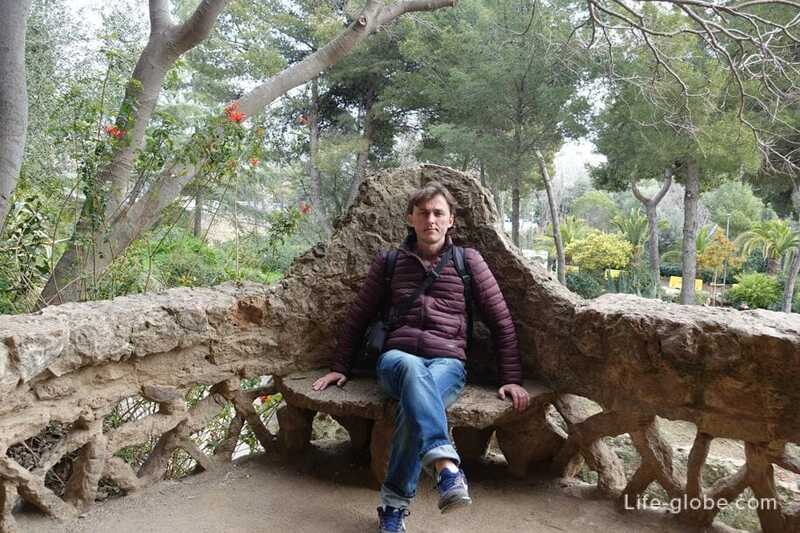 And on the top platform of the hall of hundred columns (open terrace), is the most famous, long and curved in the form of a sea serpent bench, Gaudi. Bench sinuous lines surrounds the entire deck. Bench lined with shards of colored ceramics, and glass. Located in the Park ticket offices, tickets can be purchased on site or in advance online. 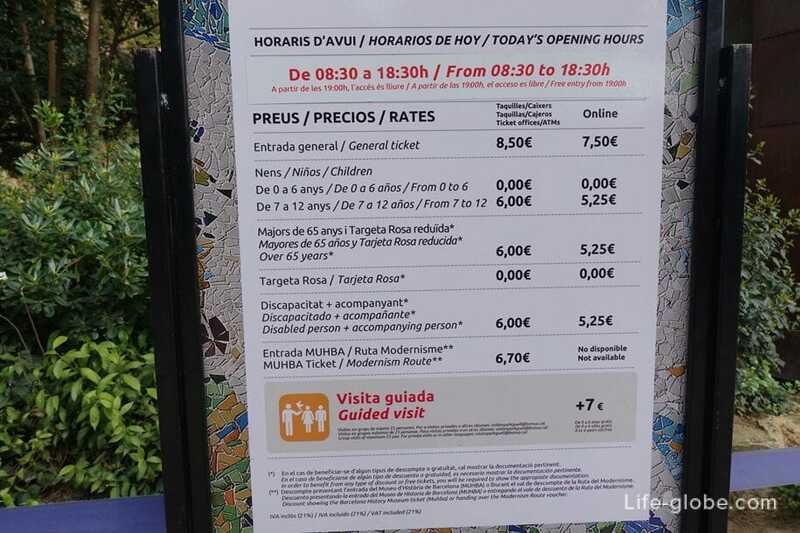 The cost when buying in the Park is 8,50 Euro for adults. When buying online, on the official website, the cost of an adult ticket is € 7.50. Pay the Park is surrounded by ribbons, so if for any reason you are not going to pay for the entrance, you see the main objects, Gaudi and from afar. 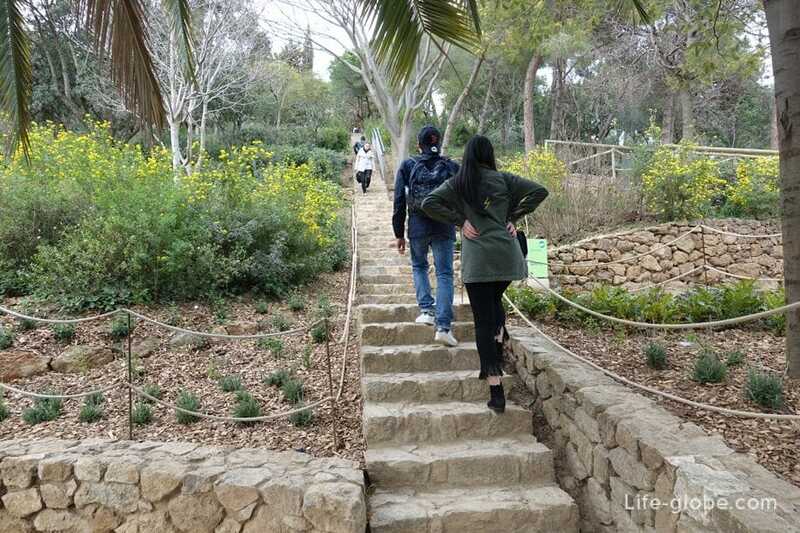 Low season: 1 January to 24 March and from 28 October to 31 December from 8:30 to 18:30 hours. Mid season: from 25 March to 29 April and from 27 August to 27 October from 08:00 to 20:30 hours. 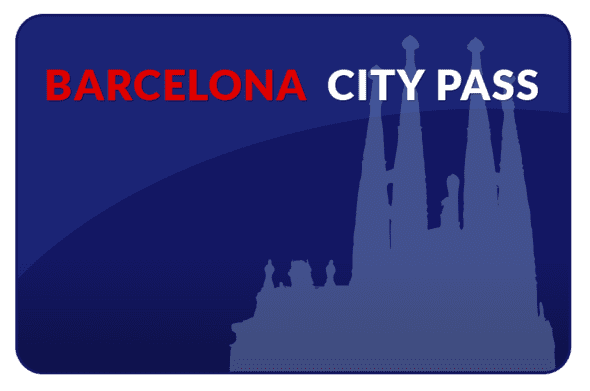 High season: from 30 April to 26 August from 08:00 to 21:30 hours. Attention! 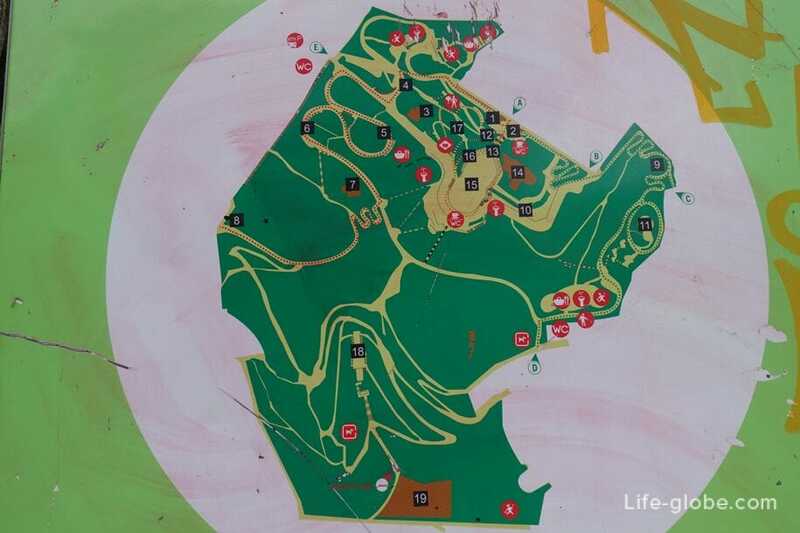 The cost of tickets and opening hours may vary, please check before visiting! 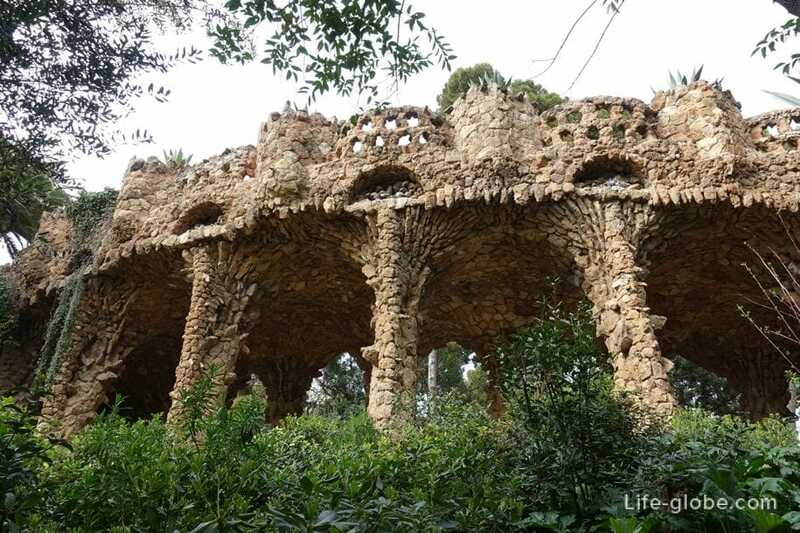 In the Free part of Barcelona's Park Güell are architectural structures - the so-called "Bird's nest", with a bizarre shape, support columns and the upper terrace. House-Gaudi Museum (Casa Museu Gaudí), opened in the former mansion of Gaudi. 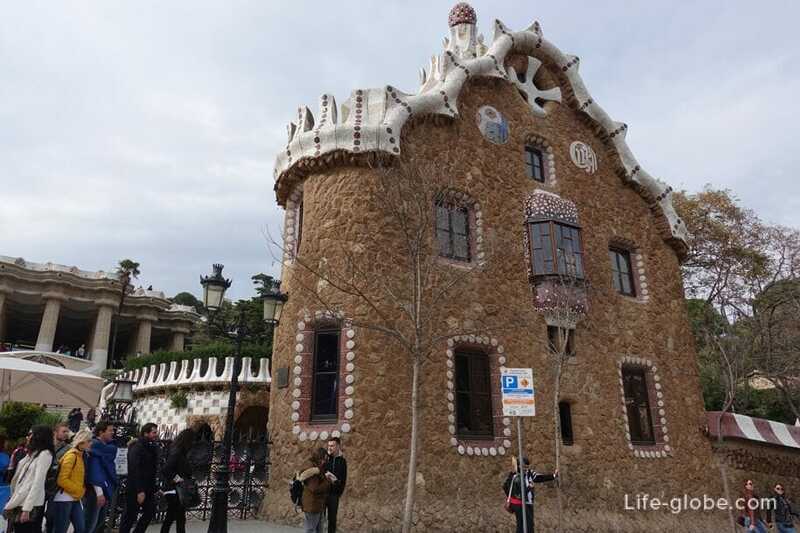 In the house Museum you can see samples of furniture, created by Gaudi, in particular: the furniture of Casa Batlló and Casa Milà. 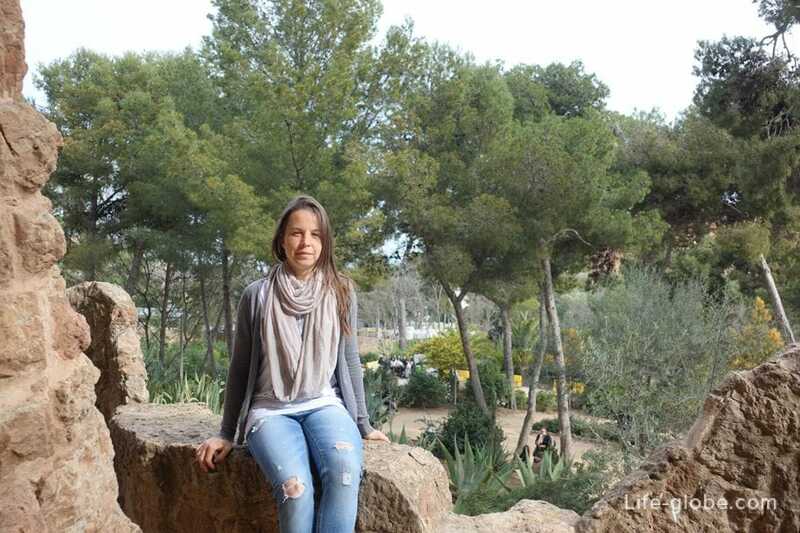 The entrance to the house-museum paid a visit to 5,50 euros. 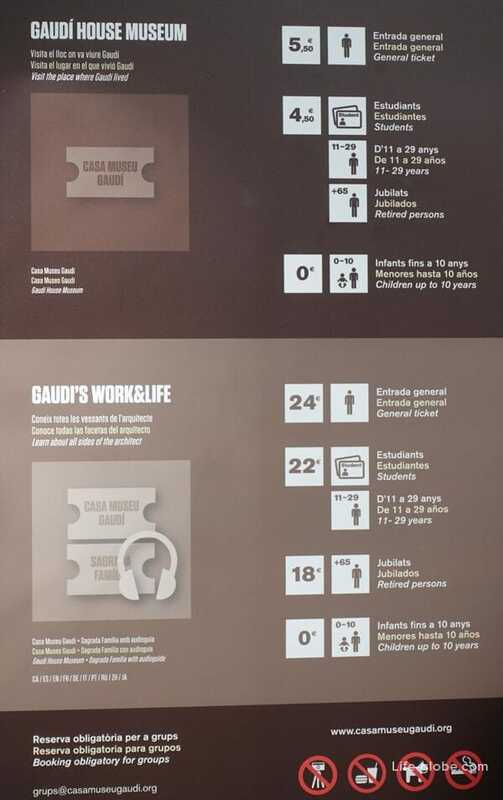 For 24 Euros you can buy a single ticket in the house-vuseum Gaudi + Sagrada Familia. 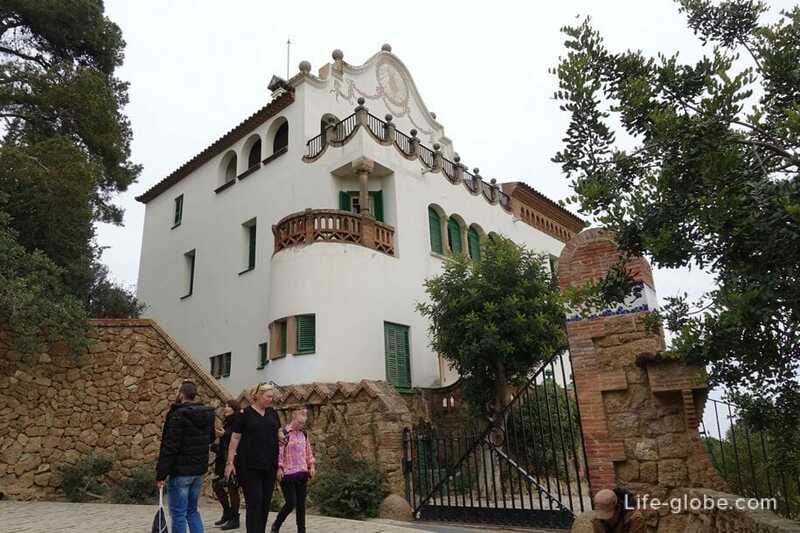 Villa Marti Trias and Dominic (Casa Marti Trias i Domenech) was built by architect Julie Ballerina and Arous. 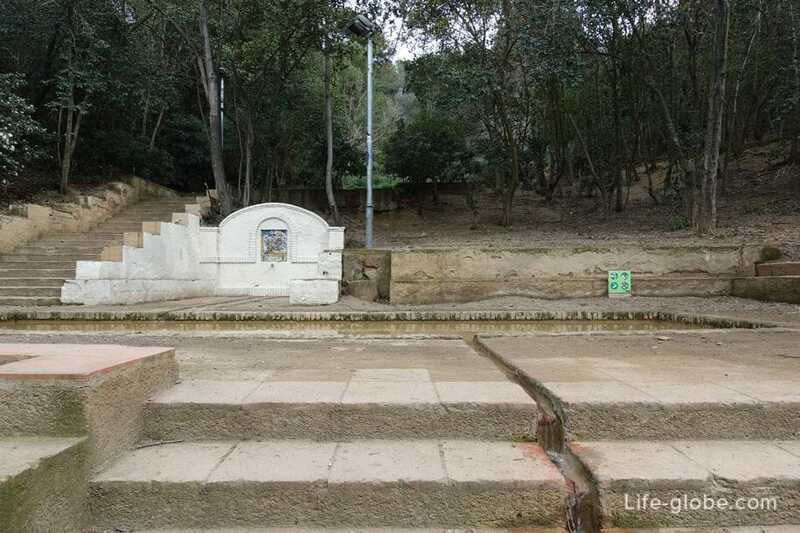 Also, the Park has a Playground, picnic area, restrooms, several areas of catering, walking paths and a fountain flowing in the middle of the stairs. Metro, green line (L3) stop Lesseps or Vallcarca. City buses, lines H6, 32, 24 and 92.